"No Future" 2010 and ... I can't remain quiet, watching it all going to Hell in a handbasket, contemplating the Collapse of this World, celebrating on a green lagoon does not seem the right Idea, because the Sea is gonna get Rough.. I always wanted to change the Heavens...always, Change in the beginning , Change becoming in the end. Was the last electro rock project, some kinda "Meditation in Action" with Fuzz Townshend (former drummer with Pop Will Eat Itself, Bentley Rythm Ace). before EXTRABALLE 2010's major come back. 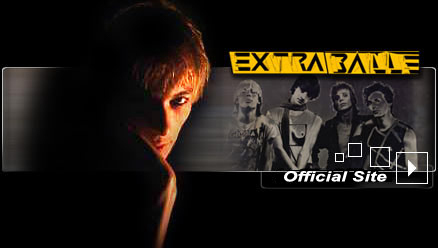 Martin Mac Cool's review of EXTRABALLE's latest work, album and singles.